Levin Named to Executive Committee of National Bad Faith Bar Association. Brad Levin has been selected to the Executive Committee of the Insurance Bad Faith Trial Lawyers Association one of 19 specialty associations of the National Trial Lawyers (NTL). NTL is a professional organization composed of the leading trial lawyers from across the country invited to join after exemplifying superior qualifications as civil plaintiff or criminal defense trial lawyers. This national organization provides networking opportunities, advocacy training, and the highest quality educational programs for trial lawyers. The Trial Lawyers Summit is an annual gathering of the most outstanding civil plaintiff and criminal defense attorneys in America. It was created in 2012 by NTL to bring together its members to share ideas and to learn new ways of improving their skills in the courtroom and better ways of managing and marketing their law firms. It was first held in 2012 in South Beach, Florida. Levin Sitcoff is pleased to announce that attorneys Bradley Levin and Nelson Waneka have been recognized in 5280 Magazine’s 2019 Top Lawyers in Denver. Both Bradley and Nelson were honored in the specialty of Insurance. This is Bradley’s fourth year and Nelson’s first receiving this recognition. 5280 Magazine invites Denver lawyers in the seven-county metro area to vote for contemporaries they respect most in 50 legal specialties. Based on those interviews and the survey results, 5280 assembles a list of Denver’s most skilled attorneys based on this peer review feedback. 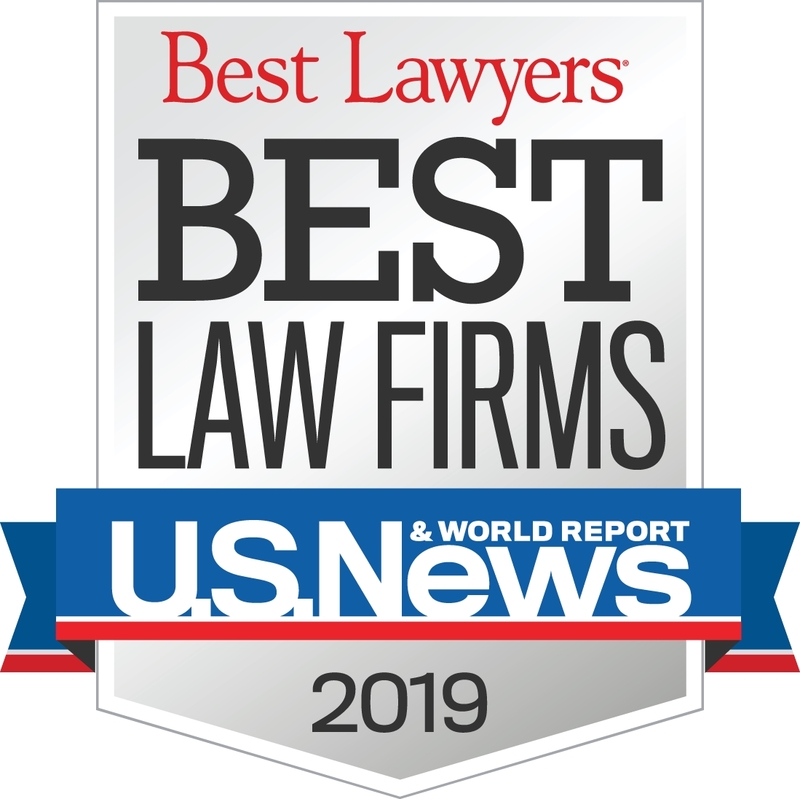 Levin Sitcoff, PC is pleased to announce that four lawyers have been included in the 2019 Edition of The Best Lawyers in America. What Is Post-Claim Underwriting in Colorado? Having insurance should provide us peace of mind; we know that, should an accident or debilitating illness occur, our losses will be covered. In exchange for this assurance, we pay a premium for business, auto, health, disability —though all the while hoping we’ll never have to make a claim. Unfortunately, sometimes when we do need to use our insurance, the insurance company refuses to pay out the coverage we have purchased. One of the ways insurers do this is through “post-claim underwriting,” which is when an insurance company issues a policy with little or no investigation into the insured’s relevant background, waits until a claim is filed to gather this information, and then denies coverage based on what they found. The good news is that you may have recourse if this happens to you, so let’s look more closely at what post-claim underwriting entails. In Colorado, insurance companies are obligated to act in good faith. That means that they must promptly investigate and pay a claim, regularly communicate with the insured, and offer a reasonable explanation regarding any claim denial or settlement offer. Despite this statutory obligation, sometimes insurance companies are reluctant to pay claims, and, instead, they engage in post-claim underwriting to attempt to avoid payouts. Before issuing policies, insurance companies are supposed to weigh or “underwrite” the risk involved. With health insurance policies, for instance, this process would involve gathering information about the applicant’s medical history. Some insurers prefer to skip this vetting, however, because of the expense involved; instead, they do the underwriting after a claim is filed. While this practice may save insurance companies money, you can see how it can be terribly unfair to individuals and businesses who believed they had insurance—and, in fact, have paid for coverage—only to have their claims denied. This is even more troublesome when you take into account that these same individuals may have been able to secure coverage from an insurance company who did proper underwriting from the start. Are You in a Post-Claim Underwriting Situation? If you have been denied coverage or had your coverage rescinded or cancelled, and you think your insurance company might be engaging in post-claim underwriting, you should get in touch with an experienced insurance law attorney immediately. At Levin Sitcoff, we can make sure your rights are protected and help you get the coverage your deserve. Send us a message or give us a call at (303) 575-9390 today to get started. The firm’s Super Lawyers are Brad Levin and Jeremy Sitcoff in the category of insurance coverage; and Barrett Weisz in the category of criminal defense. Nelson Waneka and Susan Minamizono are listed as Rising Stars in the category of insurance coverage. In addition to being listed Super Lawyers, Levin appears on the Colorado Top 10 list, and both Levin and Sitcoff appear on the Colorado Top 100 list. Levin and Weisz have been listed Super Lawyers for over 10 years. Four Levin Sitcoff, PC attorneys have been selected by peers to be included on the list of 2017 Colorado Super Lawyers and Rising Stars. The firm’s Super Lawyers are Brad Levin and Jeremy Sitcoff in the category of insurance coverage; and Barrett Weisz in the category of criminal defense. Nelson Waneka is listed as a Rising Star in the category of insurance coverage. In addition to being listed Super Lawyers, Brad and Jeremy appear on the Top 100 lists in Colorado, and Brad and Barrett have been listed Super Lawyers for over 10 years. If your state adopts this standard expect motions to dismiss. Lots of them. (Attorney Bradley A. Levin of Levin Sitcoff presented this paper, co-authored with attorney Ben Lebsack, at the 2017 Winter Convention of the American Association of Justice in Austin, Texas. Last summer, in Warne v. Hall, 373 P.3d 588 (Colo. 2016), the Colorado Supreme Court refined the state’s pleading standard to conform with the raised federal standard announced in Bell Atlantic Corp. v. Twombly, 550 U.S. 544 (2007) and Ashcroft v. Iqbal, 556 U.S. 662 (2009) – “Twiqbal”. Others have or likely will adopt Twiqbal. Am. Suzuki Motor Corp. v. Burns, 81 So. 3d 320, 324 (Ala. 2011); Edelman v. Laux, No. CV115005710, 2013 WL 4504793, at *20 (Conn. Super. Ct. July 26, 2013) (“While there appears to be as yet no Connecticut appellate adoption of the plausibility test with respect to motions to strike, each of our courts has hinted that such an outcome is foreseeable.”); Iannacchino v. Ford Motor Co., 888 N.E.2d 879, 890 (Mass. 2009) (“We agree with the Supreme Court’s analysis of the Conley language . . . and we follow the Court’s lead in retiring its use.”); Doe v. Bd. of Regents of Univ. of Neb., 280 Neb. 492, 506 (2010); Sisney v. Best Inc., 754 N.W.2d 804, 809 (S.D. 2008). If you practice primarily in state court and your state adopts Twiqbal, expect motions to dismiss. Lots of them. “From this Court’s perspective and experience, Twombly has become the most overused tool in the litigator’s tool box. Since Twombly was decided, many lawyers have felt compelled to file a motion to dismiss in nearly every case, hoping to convince the Court that it now has the authority to divine what the plaintiff may plausibly be able to prove rather than accepting at the motion to dismiss stage that the plaintiff will be able to prove his allegations.” Meyer v. Snyders Lance, Inc., No. 4:12-CV-215 CDL, 2012 WL 6913724, at *1 (M.D. Ga. Dec. 12, 2012). Twombly was a Sherman Act antitrust case. The Court “retired” the language in Conley v. Gibson, 355 U.S. 41 (1957), that “a complaint should not be dismissed . . . unless it appears beyond doubt that the plaintiff can prove no set of facts . . . which would entitle him to relief.” The Court instead held that “[f]actual allegations must be enough to raise a right to relief above the speculative level[. ]” Twombly, 550 U.S. at 555. The allegations must be plausible. Id. It was not clear after Twombly whether the new pleading standard extended to all claims or just those brought under the Sherman Act. But Iqbal clarified this matter and extended Twombly’s plausibility requirement to all cases. 556 at 678. After Twiqbal, some district courts overreacted and raised the “no set of facts” standard to a “plaintiff must plead every fact even those plaintiff can’t know without discovery” standard. Ocasio-Hernandez v. Fortuno-Burset, 2009 WL 2393457, at *6 n.4 (D. P.R. Aug. 4, 2009) (complaint “clearly met the pre-Iqbal pleading standard,” but Iqbal makes discrimination claims nearly impossible to plead without “smoking gun” evidence). Other courts refused to draw reasonable inferences. In Braden v. Wal-Mart Stores, Inc., 588 F.3d 585 (8th Cir. 2009), an ERISA breach of fiduciary duty case, the complaint alleged numerous facts showing that an ERISA plan underperformed compared to other funds and should have received institutional class shares of mutual funds with lower fees, among other discrepancies between the plan and other funds. The Eighth Circuit criticized the district court for having “ignored reasonable inferences supported by the facts alleged. It also drew inferences in appellees’ favor.” Id. at 595. As Professor Edward H. Cooper has pointed out, all of the foregoing discussion can be reduced to this proposition: Rule 8(a)(2) has it right. See Edward H. Cooper, Notice Pleading: The Agenda After Twombly, 5 (January 2008) (unpublished manuscript, on file with the Administrative Office of the United States Courts, Rules Committee Support Office), available at www.uscourts.gov/rules/Agendab̈ooks/st2008–01.pdf. This rule requires not merely a short and plain statement, but instead mandates a statement “showing that the pleader is entitled to relief.” That is to say, there must be some showing sufficient to justify moving the case beyond the pleadings to the next stage of litigation. The complaint at issue in this case clearly satisfies this pleading standard, making a sufficient showing of enough factual matter (taken as true) to suggest the required elements of Phillips’ claims. Phillips v. Cty. of Allegheny, 515 F.3d 224, 234-35 (3d Cir. 2008); see also Hamilton v. Palm, 621 F.3d 816, 817–18 (8th Cir. 2010) (Twiqbal “did not abrogate the notice pleading standard of Rule 8(a)(2). Rather, those decisions confirmed that Rule 8(a)(2) is satisfied ‘when the plaintiff pleads factual content that allows the court to draw the reasonable inference that the defendant is liable for the misconduct alleged.’”). In Twombly, the Court held that “[w]here a complaint pleads facts that are “merely consistent with” a defendant’s liability, it “stops short of the line between possibility and plausibility of ‘entitlement to relief.’” Iqbal, 556 U.S. at 678 (quoting Twombly, 550 U.S. at 557). For instance, in a car crash case, if the plaintiff alleges that the accident occurred, the defendant was driving one of the cars, and therefore the defendant is liable and the plaintiff is entitled to relief, the plaintiff has alleged facts that are merely consistent with the defendant’s liability but nothing that plausibly suggests the defendant is liable. Add in that the defendant was driving 85 miles per hour in a 25 miles per hour zone or going the wrong way down a one-way street, and the plaintiff seemingly has established plausibility to survive a motion to dismiss. Yet, state appellate courts, like the federal courts, have at times misapplied Twiqbal. For instance, in Warne, the court majority appears to have inappropriately discerned this “merely consistent” language, stating that Twiqbal rejected the respective plaintiffs’ claims because they were “equally consistent” with lawful conduct. 373 P.3d at 596. The Colorado high court upheld dismissal because the plaintiff’s allegations were “equally consistent” with lawful conduct, even though the allegations and the reasonable inferences drawn from them also plausibly suggested unlawful conduct. Id. The case involved a businessman suing a town official for intentional interference with contractual right due to her refusal to permit a third-party business to establish a headquarters in town. The claim required the plaintiff to show malice. The court held that a number of allegations that the town official did not like the businessman and would do whatever it took to prevent the business from operating in town did “not plausibly suggest malice towards [the businessman] any more than, or perhaps even as much as, merely an objection to doing business with [the third party], whether justified on legitimate grounds or not.” Id. While the court indicated that the plaintiff pled facts plausibly suggesting an unlawful motive, because those facts also plausibly suggested a lawful motive, the court upheld dismissal. But this is not what Twiqbal said about facts that are consistent with lawful motives. Rather, in Twombly the Court held that the pleading of parallel conduct for purposes of an antitrust claim, such as raising prices at the same time, is merely consistent with unlawful conduct, but without more, does not show that the conduct was plausibly unlawful. Likewise, in Iqbal the Court found that there was an obvious lawful explanation for the government’s conduct. Neither case stands for the proposition that dismissal is appropriate when a plaintiff’s allegations are consistent with a lawful explanation. Instead, the Supreme Court held that dismissal is appropriate when a plaintiff’s allegations are merely consistent with unlawful conduct or indistinguishable from an obvious lawful motive. Rule 8 does not require a plaintiff to plead facts tending to rebut all possible lawful explanations for a defendant’s conduct. To be sure, a plaintiff may need to rule out alternative explanations in some circumstances in order to survive a motion to dismiss. In Iqbal, for example, the Supreme Court . . .
assumed that any rational investigation of the September 11 attacks would thus have focused on Arab Muslims; a disparate impact on this group is exactly what one would expect from such an investigation. It is in this sort of situation—where there is a concrete, “obvious alternative explanation” for the defendant’s conduct—that a plaintiff may be required to plead additional facts tending to rule out the alternative. 556 U.S. at 582 (quoting Twombly, 550 U.S. at 567 (plaintiff failed to state a claim where facts alleged described nothing more than defendants’ “natural,” lawful reaction to economic incentives). Such a requirement is neither a special rule nor a new one. It is simply a corollary of the basic plausibility requirement. An inference pressed by the plaintiff is not plausible if the facts he points to are precisely the result one would expect from lawful conduct in which the defendant is known to have engaged. The Colorado court’s approach in Warne, turns plausibility into probability. But, as the Iqbal Court explained, “The plausibility standard is not akin to a ‘probability requirement,’ but it asks for more than a sheer possibility that a defendant has acted unlawfully.” 556 U.S. at 678. It would seem that if the actions suggesting malice are “equally consistent” with a lawful explanation, the plaintiff has satisfied its burden of showing plausibility. The actions plausibly suggest a lawful explanation, so they must equally plausibly suggest an unlawful one. “Not every potential lawful explanation for the defendant’s conduct renders the plaintiff’s theory implausible. Just as a plaintiff cannot proceed if his allegations are merely consistent with a defendant’s liability, so a defendant is not entitled to dismissal if the facts are merely consistent with lawful conduct.” Braden, 588 F.3d at 597; see also Erie Cty., Ohio v. Morton Salt, Inc., 702 F.3d 860, 869 (6th Cir. 2012) (“A plaintiff need not allege a fact pattern that ‘tends to exclude the possibility’ of lawful, independent conduct.”). Discovery is the means for ascertaining which explanation is true. As the Court explained in Twombly, “Asking for plausible grounds does not impose a probability requirement at the pleading stage; it simply calls for enough fact to raise a reasonable expectation that discovery will reveal evidence of” unlawful conduct. 550 U.S. at 545. Even if the unlawful explanation seems less probable than the lawful one, a complaint should survive a motional to dismiss when the allegations plausibly suggest unlawful conduct, as “a well-pleaded complaint may proceed even if it strikes a savvy judge that actual proof of those facts is improbable, and ‘that a recovery is very remote and unlikely.’” Id. at 556. When there is an obvious alternative explanation to the unlawful conduct, a plaintiff must plead facts that help rule out that obvious alternative. But, that said, an obvious lawful alternative is much different than an equally consistent lawful alternative. Under Twiqbal, when there is an equally consistent lawful explanation for the conduct, a plaintiff should not be required to plead facts that rule out the lawful explanation – though it is prudent to plead as many such facts as are available. Defense counsel may, nonetheless, persist in arguing that, because the defendant’s conduct is consistent with a lawful explanation, the complaint is deficient. Relatedly, the defense may contend that the plaintiff must establish a factual prima facie case in the complaint, and cannot rely on reasonable inferences. But “[e]ven post-Twombly, it has been noted that a plaintiff is not required to establish the elements of a prima facie case but instead, need only put forth allegations that ‘raise a reasonable expectation that discovery will reveal evidence of the necessary element.’” Fowler v. UPMC Shadyside, 578 F.3d 203, 211-14 (3d Cir. 2009). Similar to the equally consistent argument, the defense may assert that the court should choose the most plausible explanation. But “[t]he choice between two plausible inferences that may be drawn from factual allegations is not a choice to be made by the court on a Rule 12(b)(6) motion. . . . A court ruling on such a motion may not properly dismiss a complaint that states a plausible version of the events merely because the court finds a different version more plausible.” Anderson News, L.L.C. v. Am. Media, Inc., 680 F.3d 162, 185 (2d Cir. 2012). The defense may also argue that it is incumbent on the plaintiff to plead a plausible legal theory — essentially that the plaintiff must fashion a summary judgment response in the complaint. See Am. Suzuki Motor Corp. v. Burns, 81 So. 3d 320, 324 (Ala. 2011) (“A plaintiff’s complaint must plead a cognizable legal theory to defeat a motion to dismiss.”). But Twombly and Iqbal “do not undermine the principle that plaintiffs in federal courts are not required to plead legal theories.” Hatmaker v. Mem’l Med. Ctr., 619 F.3d 741, 743 (7th Cir. 2010). While the defense may argue that the plaintiff is required to plead time, place, names, weather, color of the car, which operating room, etc., “this is also incorrect.” Starr v. Sony BMG Music Entm’t, 592 F.3d 314, 325 (2d Cir. 2010) (plaintiff need not alleges “specific time, place, or person related to each conspiracy allegation”). And, certainly, there is no need for the plaintiff to disprove defenses at the pleading stage: although “[d]efendants must prove their defenses, plaintiffs need not disprove them at the pleading stage.” Green v. Bank of Am. Home Loans, Inc., No. 7:13-CV-137 HL, 2014 WL 1673340, at *4 (M.D. Ga. Apr. 28, 2014). If the court grants a dismissal motion for failure to meet the plausibility requirement, what standard governs a motion to amend the complaint? There is a circuit split on the issue. The Second, Fourth, Fifth, Seventh, and Eleventh Circuits have applied Rule 15’s liberal, “freely given when justice so requires” standard, while the First, Sixth, Eighth, and Ninth Circuits have applied Rule 59 and 60’s more stringent standards. Plead “on information and belief.” Some states, like Colorado, specifically allow for such allegations in their civil rules. Even if your state does not, argue that the court should allow it based on Twibal cases. Because “[e]ven without express authorization in the language of Federal Rule 8, federal courts had long understood it to permit pleading based on information and belief, and they continue to do so following” Twiqbal. Warne, 373 P.3d at 595 (citing Charles Alan Wright & Arthur R. Miller, Federal Practice & Procedure § 1224 & nn.1–1.75 (3d ed. 2002 & 2015 Supp.)). Use “information and belief” for state-of-mind allegations. Think of plausible motivations and intentions. For instance, instead of merely pleading that the defendant had an intent to harm the plaintiff’s business, plead every reason why the defendant would want to harm the plaintiff’s business. Plead facts that distinguish your case from a consistent lawful alternative. Even though courts should only dismiss claims when there is an “obvious” lawful alternative, plead anything to show the conduct is not lawful. For instance, in discrimination cases, a prima facie case should not require a plaintiff to disprove an employer’s offered non-discriminatory reasons for a termination. But if you have information to show those reasons are pretext for discrimination, plead those facts. Investigate your claims as much as possible before filing suit. Find that defendant driver’s Facebook post boasting about speeding home from the bar one night. Find that harassing supervisor’s MySpace photo of him in blackface at a party. Plead those facts and argue the inferences they raise. If there is science on your side, plead facts from studies and reports that support your claims. For instance, in employment discrimination cases, consider pleading evidence about implicit bias. See Charles A. Sullivan, Plausibility Pleading Employment Discrimination, 52 1613 (2011), available at http://scholarship.law.wm.edu/wmlr/vol52/iss5/5. The interstitial, definitional progression from the “fantastic” (e.g., “little green men”) through “speculative,” “conceivable,” “possible,” “plausible,” “reasonably founded,” “consistent with liability,” “suggestive of liability,” to “probability,” can be the legal equivalent of explaining the progression from a quark to the Higgs boson. Ohio has long recognized that cases should be decided on their merits, not procedural technicalities. Sacksteder v. Senney, No. 24993, 2012 WL 4480695, at *10 (Ohio Ct. App. Sept. 28, 2012). Denver, CO – Three Levin Sitcoff, PC attorneys have been named to the 2014 Colorado Super Lawyers and Rising Stars list. The firm’s Super Lawyers are Brad Levin and Jeremy Sitcoff in the category of insurance coverage. Nelson Waneka is listed as a Rising Star in the category of insurance coverage. LEVIN SITCOFF is a boutique firm that specializes in general civil trial and appellate practice focusing on insurance coverage, insurance bad faith, commercial litigation, employment and heath care law and personal injury. Visit www.levinsitcoff.com for more information. Denver, CO — Levin Sitcoff, PC has again been named to the 2015 U.S. News – Best Lawyers “Best Law Firms” list.